Jesus lived a radical life and calls us to do the same: this is a practical guide to living as an extreme Christian in today’s world. 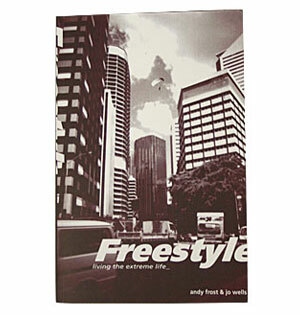 Freestyle discounts many myths about being a disciple of Jesus and then establishes a realistic and practical outlook on the five main areas of Christian life. Drawing on first-hand experience and testimony, Freestyle unpacks being a Christian in a relevant and creative way that will impact a complete way of life.